The challenge was to develop an immersive pop-up store for a specific product category- Cheese. 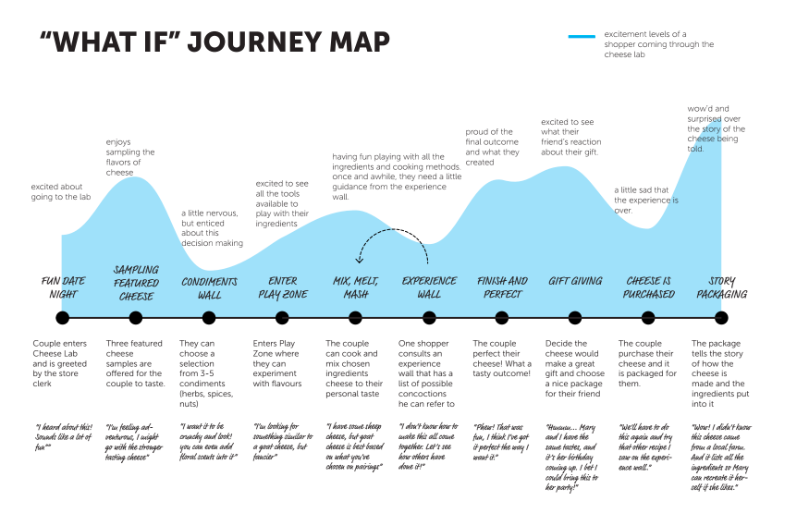 Part of the task was to define a well-crafted 'people problem statement' through contextual inquiry and ethnography, and subsequently design an experience with both physical and digital signature moments to engage the audience. Urban dwellers perceive the retail of cheese as impersonal. They seek intimate and curated ways to experience cheese. Cheese Don’t Tell is a phygital pop-up store experience that focuses on the eternal sensory ritual and pleasure cheese provides. Customers enter a 'cheese confessional' and narrate a personal story about their relationship with cheese. Based on their tastes, they are matched to a cheese package by the brand ambassador or 'cheese priest.' 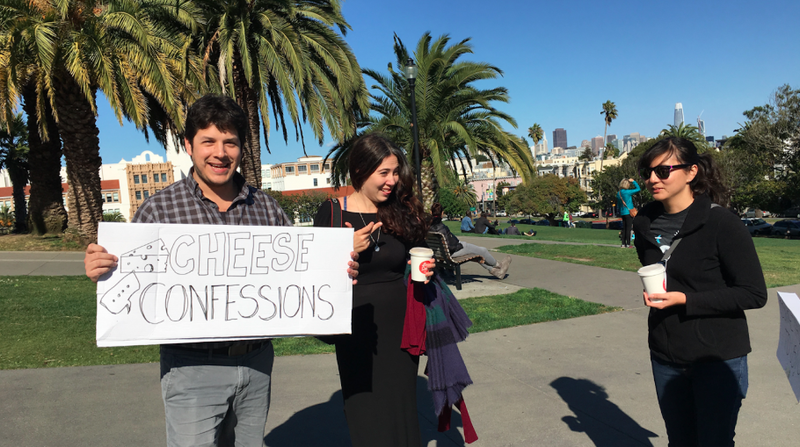 Through cheese confessions, we uncover personal relationships with cheese in order to take visitors on an intimate, witty and supremely cheesy journey. Unlike generic grocery stores and overwhelming cheese shops, our offering provides a sensory and experimental experience that encourages indulging in life's guilty pleasures. Discover: Customer discovery and development through intercepts, ethnographic interviews, social listening and observation. The insights were used to build customer personas and journey maps that resulted in a clear understanding of the problems with the existing cheese buying experience. Define: A key part of the project was framing the 'people problem statement' or challenge area that we wanted to focus on. While a number of insights were surfaced, synthesizing findings and distilling information to its core was crucial to the success of the project. Design and develop: Divergent thinking techniques such as brainstorming, rapid prototyping and role playing were employed to generate a number of ideas and test their effectiveness. Shortlisted concepts were further developed as high fidelity models and tested through micro pilots to gauge customer engagement. Deliver: After several cycles of testing, gathering feedback and refining the concept, the pop-up store was built inclusive of both interactive digital and physical components for the public to engage with. In collaboration with Andrew Siu, Camille Brito and Rumaisa Mughal.